In Numeracy we learn new skills through a practical approach. We learn all about counting, partitioning and calculating. Securing number facts and understanding shapes. Handling data and measures. We have also recently started using 'Numicon' to help us with our Numeracy skills and problem solving knowledge. 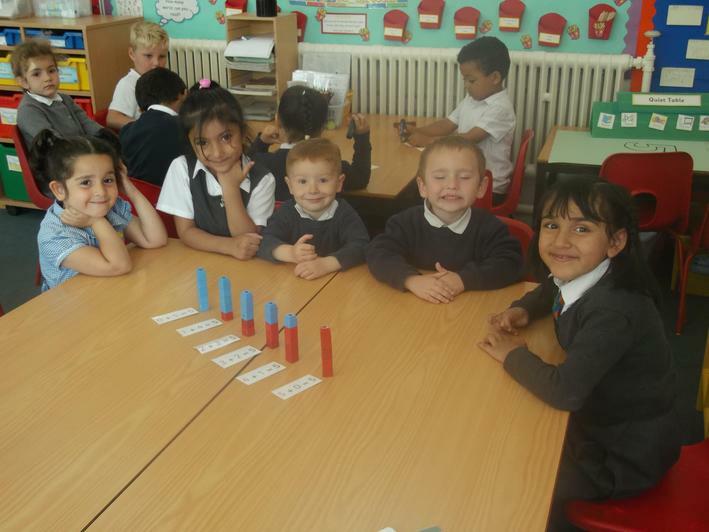 We enjoy learning our number bonds in a practical and fun way. We use cubes and our fingers to help us learn our numbers bonds to 5!